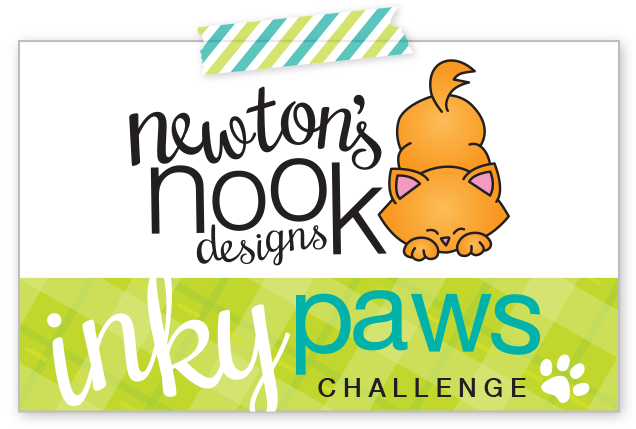 RutabagaPie Designs: Newton's Nook Designs and Thermoweb Collaboration! 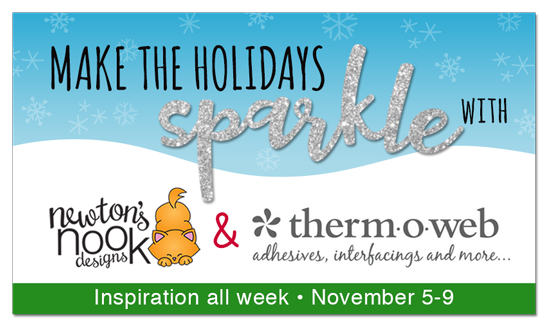 Newton's Nook Designs and Thermoweb Collaboration! Hello everyone, I'm here today with Newton's Nook Designs and Thermoweb, as the two brands have come together for this fun collaboration of products! Have you ever tried foiling? It's an absolute magical process! I started with a Deco-Foil Clear Toner sheet in the Wheatfield pattern and ran it through my laminator with a Foil Transfer Sheet in Opal. Then I used the Frames and Flags dies to create my window frame along with the banner which I heat embossed the sentiment on! It is hard to show in a photograph, but the photo below that I took at an angle will show the shimmer that transfers onto the clear sheet. It's just gorgeous IRL! So COOL! I love the shaker element and the beautiful coloring! Love this beautiful shaker card! So pretty for fall! Adorable stamp! Love this, I need to get some of these clear toner sheets! That iridescence is so pretty, I would love to try out deco foil!! The foil wheat looks very cool. This is a great autumn card. I love how you designed this card! Beautiful Fall shaker--my favorite time of year. WOW!! Gotta love the foiling!! It's spectacular. And your card is stunning and cute. Gorgeous! I so want to try these foils!! You made it look so lovely by adding the shaker element. Nicely done. Fabulous card! I love the wheat field clear toner sheet - so perfect with that Newton!